Where do I use my Flexible Autos voucher code? "Save money with a discount code from us." 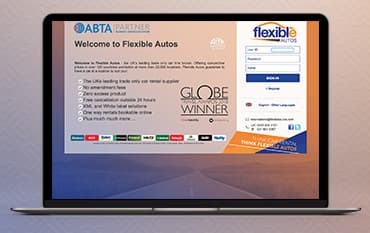 Flexible Autos are the UK’s leading trade-only car rental supplier and winners of the Globe Travel Awards 2018. Flexible Autos not only provide car hire in over 22,000 locations, they also guarantee that you’ll pay no amendment fees, experience no zero excess, can benefit from free cancellation outside 24 hours and XML and White label solutions. Flexible Autos allows you to book one-way rentals online as well as return rentals in locations all over the world in over 120 countries. All you have to do is register for an account, entering your personal details and account information, to be able to find affordable car hire that’s suitable for you. Flexible Autos is the UK's leading trade-only car hire broker. Offering competitive prices in over 120 countries worldwide at more than 22,000 locations, Flexible Autos guarantee to have a car at a location to suit you. Discover car hire from top brands like Alamo, Avis, Budget, Enterprise, Europcar, Hertz, National, Orlando, Sicily by Car, Sixt and Thrifty. Book your affordable car hire from one of these trustworthy brands with a promo code from us and save money on booking no matter where you’re headed. We are constantly on the hunt for Promo Codes for Flexible Autos to help you with your money saving. Our experts check dozens of sites for secret codes including NHS discounts, student sites & social media channels saving you time & money!